…and our president ignored them and traded the Taliban all-stars in order to secure his release. Col. David Hunt (retired): June 30, 2009, Bergdahl deserts his post in southeast Afghanistan. 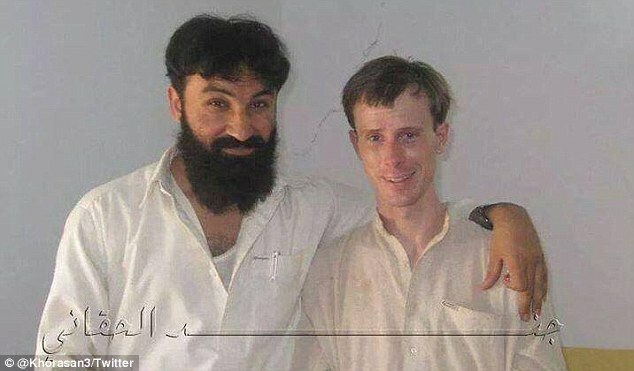 July 1st and 2nd, in a standard briefing to a commander of his unit, Fourth Brigade ot the 25th Infantry division, we have tapes of Taliban talking on Bergdahl’s phone saying that Bergdahl wanted to join them. And we have the Taliban on their own phones talking about Bergdahl trying to join them. This information was known July 2nd on and yet we still traded him for five terrorists, had a White House ceremony and now we’ve taken two years since he’s come back to do something which takes 90 days. The government has not yet and it doesn’t sound like it’s going to even use these tapes against Sgt Bergdahl. Bill O’Reilly: How did they get the tapes? Col. Hunt: It doesn’t make sense. None of it makes any sense on Bergdahl. Bill O’Reilly: How did the government get the tapes? Col. David Hunt: There are programs, we’ve been doing it since World War II, in which we listen to the enemy, and people who are speaking Pashtun and any language the Taliban in that section are using, were listening because they were told to and they were also listening to Bergdahl’s phone. What they heard was the Taliban on Bergdahl’s phone because he had joined them by then. So it’s a military program. Bill O’Reilly: So, once again the tapes say that Bergdahl deserted and wanted to join the Taliban. Col. Hunt: Yes the tapes are available. The government’s not using them. The government’s case against Bergdahl for desertion and misbehavior before the enemy would seem to be infinitely stronger for having used those tapes, so one may conclude that (1) they believe Bergdahl will be found guilty even without them, or (2) they’re willing to risk losing at trial or allowing a plea, and in either event (3) the political repercussions of the public finding out that there was proof Bergdahl had turned his coat and Obama still making that trade would be too much for Obama to bear. The third part is questionable, of course, because at this point Obama seems immune to political pressure unless it comes from leftist donors.